As an inventor, one of the things you may struggle with most is transporting your dream design into a reality. Many inventors have difficulty overcoming the design phase when they must move their ideas from their mind to paper, and from paper to prototype. Prototyping is supposed to be an exciting stage in your design process but can be stressful if you are unaware of what you're getting yourself into. A prototype is the first functional model of your product. This is it! Your dreams and realities all come to a head when you finally have a full-scale, working model of your design. You should begin your prototype only when you truly understand the purpose of your design. Neglecting the prototype stage could result in product failure. A prototype is important for securing funding. When walking into an investors meeting, having a prototype of the product can help convince them to support your product. A prototype directly increases your chances of licensing or selling your invention. 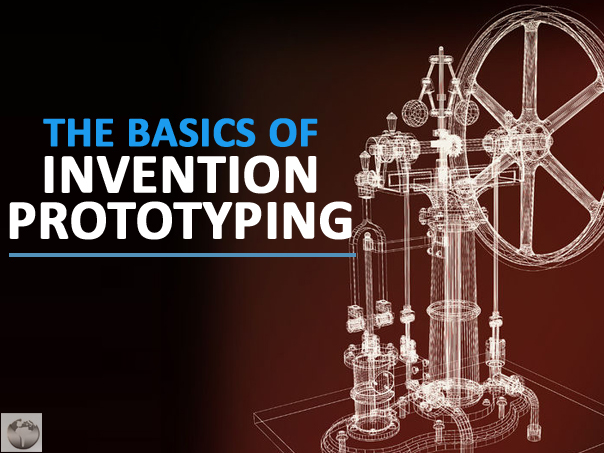 Although it is not required, a prototype can also help you with the patenting process. Depending on the scope of your project, a prototype can lend credibility to your patent application. When applying for a patent, you'll need to be able to describe your product in thorough detail. If you're struggling to explain important components of your product, providing a prototype can help your reviewer specifically see what you're referring to. Working on a prototype can be frustrating. It's a near guarantee that you'll run into failure during the initial prototyping stage. Some models won't work the way you'd like them to, and some models won't work at all. It can take many attempts before you finally design a prototype that works the way you anticipated. Your product's success hinges on the first prototype, however. It's important to not rush through the prototyping process. Don't overlook any details, and ensure the product functions as you'd like. Failing during your first prototype is expected, and in some ways, encouraged. Failure at this stage is inexpensive and will prevent future failures. You'll discover approaches and methods that are ineffective and should be avoided when working with later prototypes. Discovering this now, when there's not as much at stake financially, will be far more beneficial than discovering an error, say, a month before your product is set to go to market. As Thomas Edison once said, "We now know a thousand ways not to build a light bulb." Take risks when innovating, and don't be afraid of failure. How patient you are during the prototyping stage will determine how successful your product is in the long run. When designing your first prototype, it's recommended that you focus on functionality over design. Putting the finishing, polishing touches on your product can come later once you have further developed your product. Securing funding and working with experienced investors who have access to advanced production methods can also help polish your product. Don't worry if the color of your first prototype is off, or if it's not as sleek as you anticipate it being one day. Don't worry if a corner is not as round as you'd like. The importance of your first prototype is functionality. As long as the product works the way you'd like, and the way you've previously described it in applications, briefings, and investment pitches, you will be ok. Small, cosmetic details can be ironed out later. Depending on the type of invention you wish to create and your current financial situation, you may want to consider virtual prototyping. There are numerous programs available today that can simulate a 3-dimensional model of your product, and then test the functionality of your design. If your prototype requires expensive products, you may want to run a virtual prototype first and lock down the design before paying money for a physical prototype. There are professionals who can produce your virtual prototype for a reasonable cost. A virtual prototype can be just as valuable than a physical prototype. Because the prototyping programs will prove if your product will work or not, it will immediately show investors and patent officers that you have a functioning product. You can carry your virtual prototype on video or CD, instantly able to display the success you've had designing your product.